The Federal Highways Administration and the California Department of Transportation (Caltrans) proposed construction of the East Sonora Bypass. The bypass was designed to provide more than five miles of four-lane freeway along State Route 108 in Tuolumne County. This project exhibits Far Western’s ability to manage and complete a multi-stage, multi-year project in cooperation with Caltrans and to coordinate simultaneously with numerous subconsultants. Far Western’s involvement with this project initially began in 2003 with cultural resources inventory of the Area of Potential Effects (APE) for Stage 2 of the three-stage project. We have since conducted late discovery evaluation and data recovery at more than 25 sites, synthesized the results of excavation in a three-volume report, conducted supplemental inventory and evaluated archaeological resources in the Stage 2 APE, conducted Phase III data recovery at three Stage 2 sites, and coordinated archaeological and Native American monitoring. In the process, Far Western has built a strong relationship with the Tuolumne Band of Me-wuk. The culmination of this decade-long effort at East Sonora Bypass was the publication by the Center for Archaeological Research at Davis entitled, A New Frame of Reference: Prehistoric Culture Chronology and Ecology in the North-Central Sierra Nevada edited by Jeffrey Rosenthal. This publication presents the results of Stage I archaeological investigations, as well as compiles archaeological data from throughout the region, to provide a compelling new synthesis of Sierran prehistory. The publication demonstrates Far Western’s ability to take technical findings and make them widely available to scholars and the general public. In addition, this project provided Far Western’s writing, design, and production staff with the opportunity to share the archaeology of the region with the public. 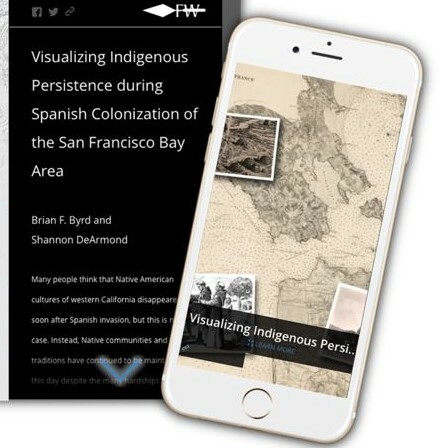 Far Western’s subconsultant Helen McCarthy and Far Western Art Director Tammara Norton worked with the Tuolumne Band of Me-wuk and Yosemite National Park to produce an ethno-botanical field guide that identifies and reviews the natural history of key economic plants used by the Me-wuk.